Although the Grand Canyon isn’t located in Southern California, it’s a MUST-SEE attraction, as well as a MUST–DO hike in Arizona! Every year, the Grand Canyon attracts over five million visitors from across the world for one main reason: its astounding beauty! There’s simply no other place in the world that looks quite like it. We found the South Kaibab Trail after visiting the Grand Canyon Visitor Center near the South Rim by Mather Point. A local guide informed us of this hiking trail, which takes 12+ hours if you plan to go to the very bottom and back. We informed the guide that we were seasoned hikers and ready for a challenge. 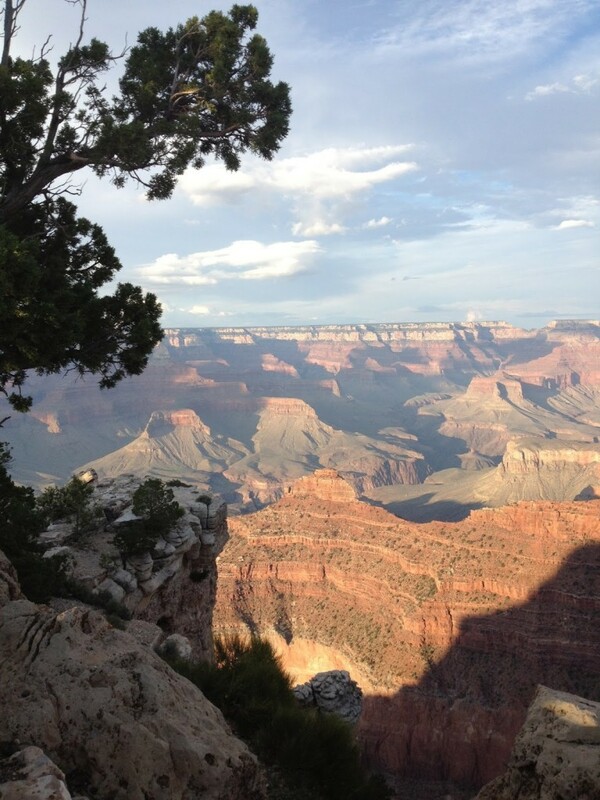 The South Kaibab Trail offers several look-out points, that will guide your distance and time. They are Ooh-Aah Point, Cedar Ridge, and Skeleton Point. Because we started the hike mid-morning at around 8 am, and it was summertime, we trekked into the canyon until Skeleton Point, and then started our way back. It took us about 4-5 hours total. The South Kaibab Trail offers wonderful views along the trail making it very easy to lose track of how far down you have hiked. Also, the steepness of the trail can be very misleading on the way down. Plan on taking twice as long to hike up as it took to hike down. 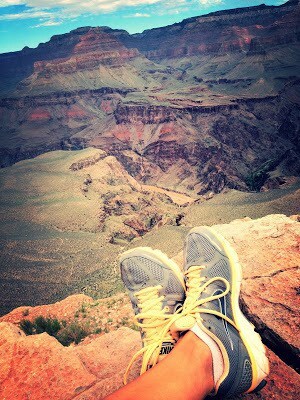 WARNING: It is highly discouraged to plan a day hike to the bottom of the Grand Canyon and back. Most trips to the bottom are overnight excursions. 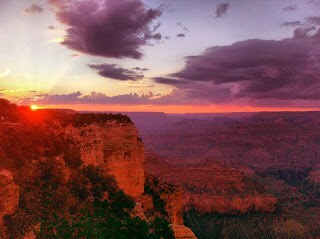 The Grand Canyon is one of the seven natural wonders of the world. This beautiful Arizona canyon was carved by the Colorado River. 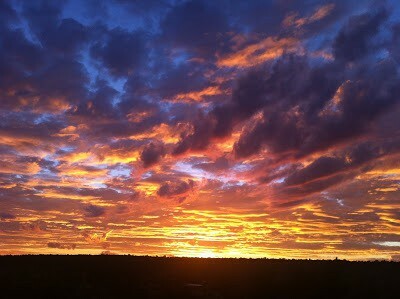 From its amazing views to its fire-red sunsets to its beautiful cliffs, we didn’t like the Grand Canyon – we loved it. The South Kaibab Trail offers beautiful canyon views along the trail – great for taking pictures. We enjoyed lunch at Skeleton Point, where you get your first glimpse of the Colorado River. We highly recommend bringing lots of water and snacks throughout the hike as it can be very hot and tiring. Throughout the hike, expect to see groups of people passing on mules, which is something that you don’t see often (if at all) in Southern California! They have the right-away, so be courteous (and sometimes jealous) of their passing. Grand Canyon National Park (SOUTH RIM) is located 60 miles north of Williams, Arizona (via route 64 from Interstate 40) and 80 miles northwest of Flagstaff (via route 180). Grand Canyon lies entirely within the state of Arizona. There is no “address” for the Grand Canyon. However, you will see businesses with a Grand Canyon city address and a 86023 postal code. These businesses are generally located in Tusayan, AZ near the entrance to the South Rim. If you’re using a GPS or search engine software like Google Maps or Mapquest, you may enter the following latitude and longitude coordinates for the South Rim Visitor Center: 36°03’32″N 112°06’33″W. Entrance fees into Grand Canyon National Park is $25 per private vehicle, $12 pedestrian or a cyclist, and fees for commercial bus/tour van passengers vary. Admission is for 7 days and includes both rims, but there are no refunds due to inclement weather. Park in lots 1–4 at the Grand Canyon Visitor Center near the South Rim by Mather Point. Lot 1 includes auto, RV, and trailer parking. A guide at the Visitor Center can inform you about which shuttle to take. 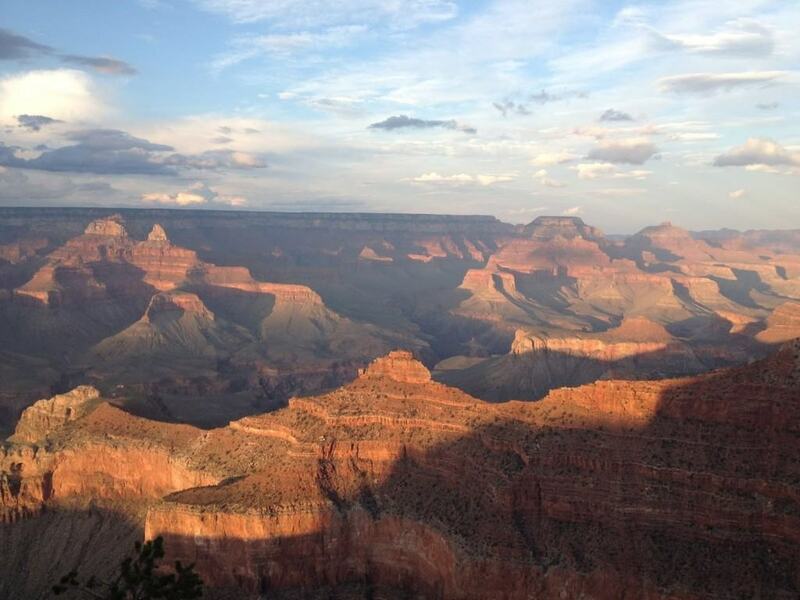 Kaibab/Rim Route – Buses provide transportation between the Grand Canyon Visitor Center, Mather Point, the Yavapai Geology Museum, South Kaibab Trailhead, and Yaki Point. This is the shortest scenic route and the only access to Yaki Point and the South Kaibab Trailhead. Hiker’s Express – An early morning shuttle bus goes to the South Kaibab Trailhead from Bright Angel Lodge shuttle bus stop, the Backcountry Information Center, and Grand Canyon Visitor Center daily, year-round. Parking is available at the Backcountry Information Center. Spring or Fall: The daily temps are most moderate during the spring and fall. 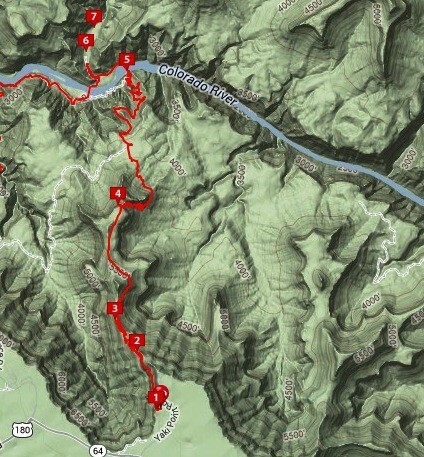 However, we did this hike over Labor Day weekend, but it was important that we start the hike early, as the summer temperatures can get very high. During the winter, the Grand Canyon can be very cold (it can even know – being at 7,000 feet). Also, it’s important to note that rain showers are also common, so check the forecast right before you attempt this hike. We had to wear light rain jackets in the beginning because it was drizzling. Pets are allowed in the park but must be on a leash at all times. Leashed pets are allowed on rim trails throughout the developed areas in the park but not below the rim, in park lodging or on park buses. The only exception is certified service dogs. Persons wishing to take a certified service dog below the rim must check in first at the Ranger Office (at the corner of Center Road and Village Loop Drive.) There is a kennel at the South Rim; call 928-638-2631, extension 6549. Reservations are suggested. 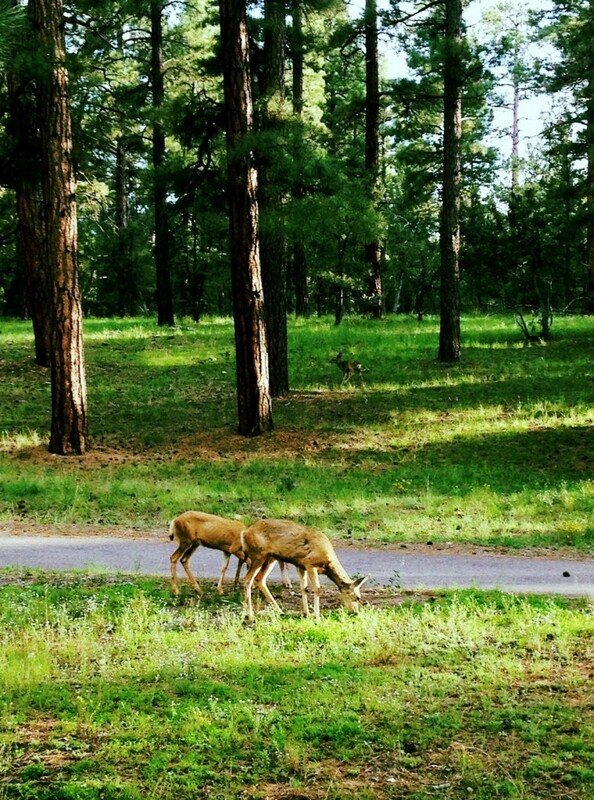 Kennel services are not available on the North Rim; pets are not recommended. Beautifully shared! 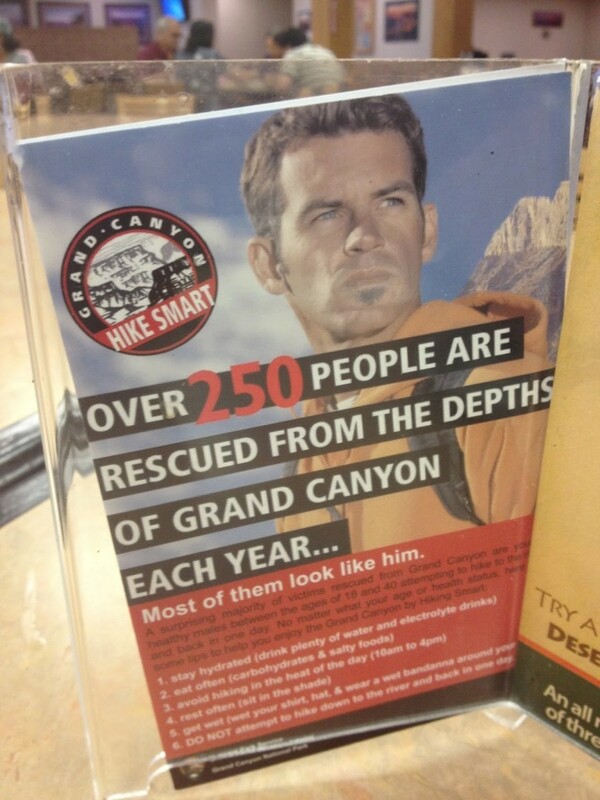 I used to visit Grand Canyon multiple times but this place never lost my interest yet. 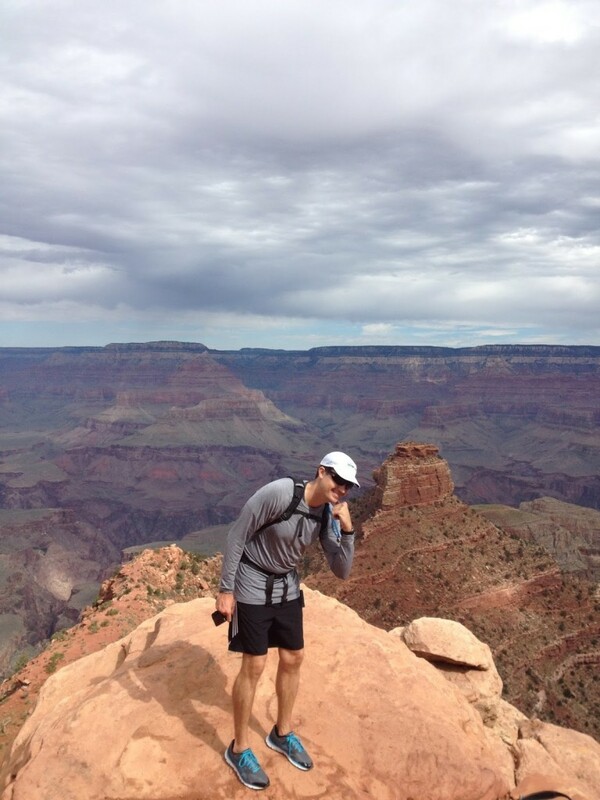 I think if coming to the Grand Canyon and hiking the South Kaibab trail was perfect. South Kaibab Trail is a very well maintained trail. This trail zig zags down and some of the drop offs are a little hair raising. Now I’m going to repeat my South Kaibab Trail tour through the las Vegas to grand canyon bus tours next month.